Want to play the bravest little hobbit of them all in the big-screen adaptation of J.R.R. 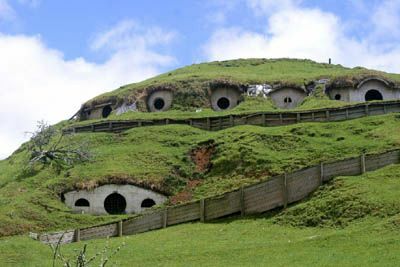 Tolkien’s The Hobbit? Well, now is your chance as Spoiler TV has revealed the official casting call for the upcoming two-part film directed by Guillermo Del Toro and executive produced by Sir Peter Jackson. Despite initially being plagued by hardships, lawsuits and corporate shenanigans, production of The Hobbit continues full steam with actor Ian McKellen already signed on to reprise his role of Gandalf from Jackson’s award-winning Lord of the Rings trilogy. Fellow Rings cast members Hugo Weaving and Andy Serkis will also return as Elrond and Gollum, respectively. Still missing, however, is the lead role of Bilbo Baggins and pretty much everyone else. But with the casting call now out, Del Toro just might stay on schedule and achieve the current release date of December 2011 for part one, with part two set for release the following year. Hit the jump for some highlights and thoughts on the revealed casting call. 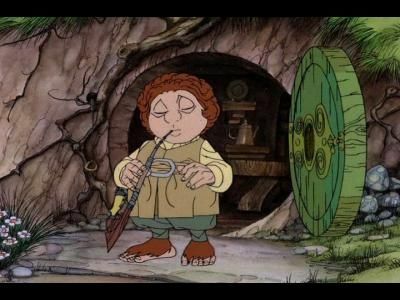 [BILBO] A well-to-do, respectable Hobbit…. Although he doesn’t realize it himself, BILBO has a good deal of courage; he can be practical and resilient. He has a good sense of humour, and is able to appreciate the ridiculous. He is very quick on the uptake and is well read having been encouraged to read widely by his mother. The most distinguishing characteristic about BILBO is his humanity; he is empathetic with a big heart and generous spirit. LEAD. AGE: 25-35. ACCENT – STANDARD R.P. [GLOIN] A DWARF of the line of Durin. He is related to the more noble Family of Thorin Oakenshield, being a distant cousin. Of all the Company of Dwarves who set out on the Quest to The Lonely Mountain GLOIN is the most outspoken, opinionated and is not afraid to challenge authority. He has a tendency to be something of a gloom merchant, but despite this dourness, GLOIN is also strong and brave and loyal – and ultimately a lovable and endearing character. Well known to audiences as the FATHER of GIMLI. Gloin will be required to wear a wig and beard and some minor prosthetics make-up, like a nose or forehead, is possible. LEAD. AGE: 40-50. ACCENT: MUST HAVE A SCOTTISH ACCENT. [RADAGAST THE BROWN] One of the Istari… Like the other five Wizards, RADAGAST has taken the form of an old man. Somewhat scruffy and prone to wandering the wilds,. He is however a close friend of GANDALF the Grey who holds him in great affection and admires RADAGAST’s gentle spirit.. He has a cheery disposition and a twinkle in his eye; RADAGAST is eccentric, forgetful and easily distracted. This role will require a wig, beard and possible prosthetic make- up. LEAD. AGE: 50-70. ACCENT – STANDARD R.P. OR SLIGHTLY ACCENTED REGIONAL ENGLISH ACCENT. [PRIMULA BRANDYBUCK] Primula is a bright, lively and pretty young Hobbit. She is considered to be ‘wayward’ and ‘not proper’. But PRIMULA doesn’t care. – Prone to letting words and thoughts tumble out of her mouth without pause, PRIMULA can also be acutely observant. Kind hearted with a loving nature, she is the type of person who can light up a room sptv050769. LEAD. AGE: 18-27 STANDARD R.P. OR SLIGHTLY ACCENTED REGIONAL ENGLISH ACCENT. [DROGO] Bilbo’s cousin, he has known Bilbo all his life and ends up becoming Frodo’s father. Drogo’s outgoing, friendly – likes his food and good ale and the companionship of others.. 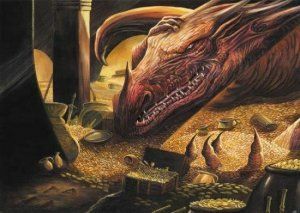 He is good looking, well liked and well known around The Shire and is a bit of a ladies man (in contrast to Bilbo.) He’s not interested in the outside world. In fact, he’s quite happy and content with his lot. He is naturally funny in that unintentional, Hobbity, English Village sort of way – someone who is immediately likable. LEAD. AGE: 25-35. ACCENT – STANDARD R.P. OR REGIONAL ENGLISH ACCENT (SHOULD NOT BE HEAVILY ACCENTED). The majority of the cast seems to be as expected, hitting all the major characters from the book. However, while it’s been a while since I’ve read The Hobbit and it is my least favorite of Tolkien’s books in the Rings series, the character Itaril seems foreign to me. I don’t remember her from the book; however, it could be a move similar to Arwen–whose role was much bigger in the movies than in the books. Del Toro mentioned numerous times that he really wants to stay very faithful to the book, going so far as to redesign the Worgs and Goblins. That said, expanding a role to add a bigger female presence to the film doesn’t bother me in the slightest or go against the director’s claims of faithfulness. The one thing I do request Del Toro doesn’t stay faithful to is the amount of singing. Jackson managed to eliminate almost all instances of song and dance from Lord of the Rings, so here’s to hoping Del Toro takes a similar cue for The Hobbit films.